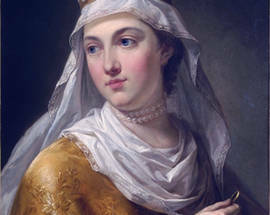 The most influential woman in Polish history, bar none, Queen Jadwiga of Poland reigned as the country’s first female monarch (formally holding the title of 'King') between 1384 and 1399. 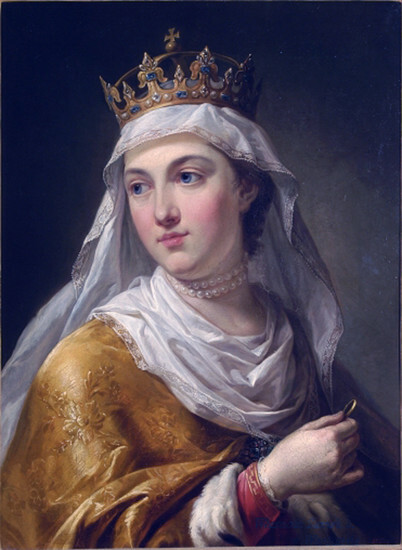 She took the throne at only ten years of age following the death of her father, Louis the Great - King of Hungary and Poland, who failed to sire any sons. 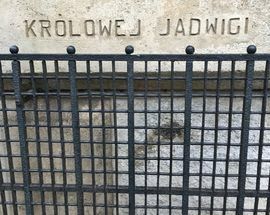 Her reign brought the restoration of the Kraków Academy (now Jagiellonian University), which had stalled upon the death of its founder - King Kazimierz III the Great, and a tightening of Polish-Lithuanian relations with Jadwiga’s reluctant marriage to the much-older Władysław-Jogaila at only twelve years of age, which necessitated her to break off a long-standing engagement to William of Habsburg - a decision deemed by the collective conscience as a sacrifice for the Polish nation. 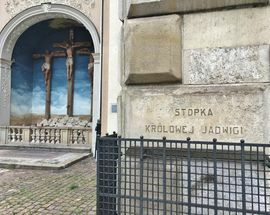 Perhaps most significantly, the Queen was also highly devout, lending much of her time and resources to charity work, founding new churches, sponsoring hospitals, promoting the use of the Polish language in church services and hymns, and opening a faculty of theology at the Kraków Academy. 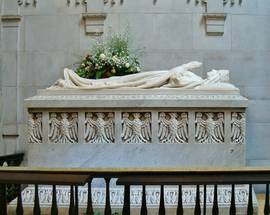 Privately, the monarch practised mortification of the flesh and attended daily mass. 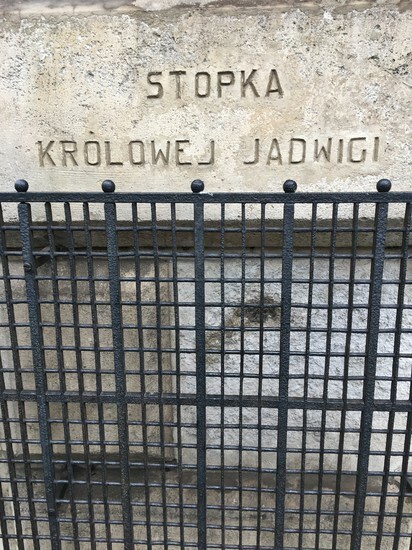 Her life was cut short at just 25 due to complications from the birth of her first child - a daughter - who died only three weeks after being born; within a week Jadwiga was also dead, most likely due to a postpartum infection. 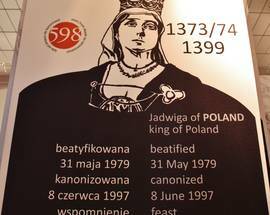 Both the Queen and her infant daughter were laid to rest in Wawel Cathedral, where they remain to this day. 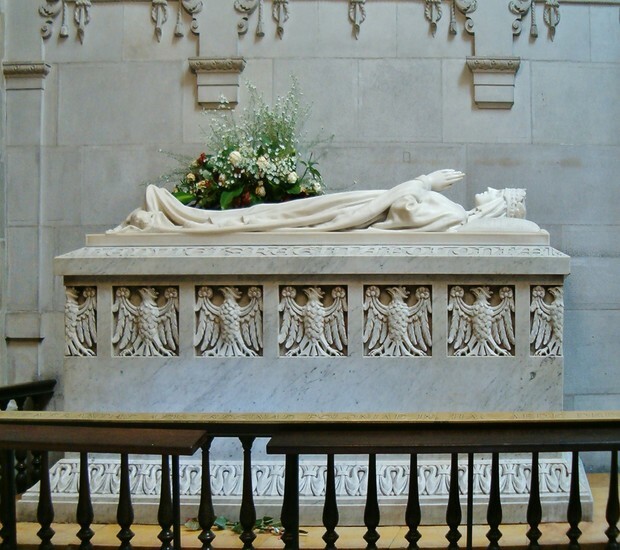 Though she was venerated soon after her death, it wasn’t until the papacy of Pope John Paul II that the idea to canonise the “most Christian queen” (as proclaimed in a homily given at her funeral) emerged. 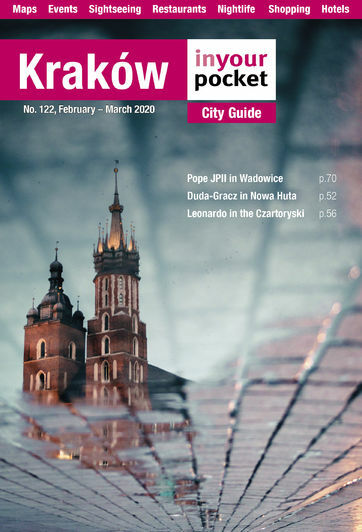 Her claims to sainthood were largely based on legend and impossible to verify 600 years down the line, but the appeal of having a saint among the Polish rulers was large. The proof included a single instance of hearing Christ speak while praying in front of a large crucifix, bringing a drowned boy back to life by covering him with a mantle, and a curious case of leaving a footprint in already-set plaster while giving a poor stonemason a golden buckle from her shoe (no, the Queen did not weigh 300 pounds, good guess though). The “100% authentic” footprint in question is still visible and lovingly preserved on the facade of the Church of the Visitation of the Blessed Virgin Mary at ul. 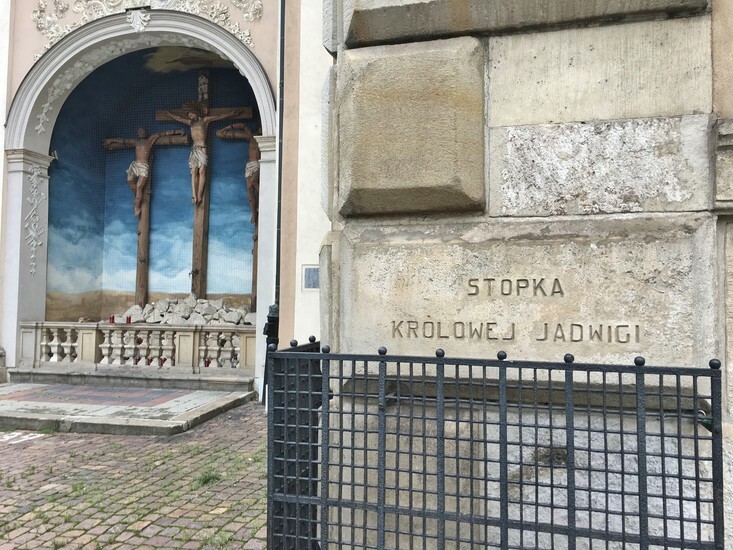 Karmelicka 19 - find it on the corner of the building to the right of the entrance, just above ground-level. 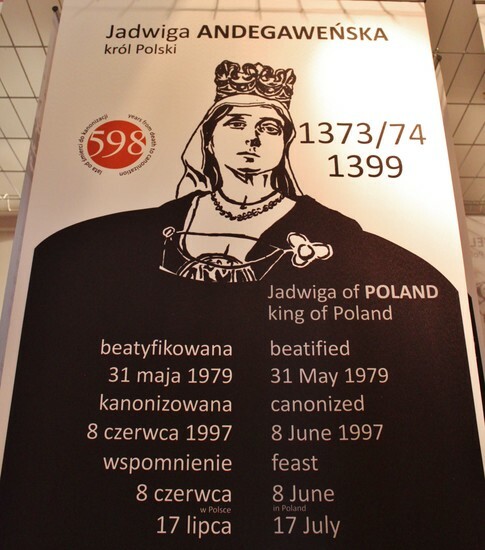 The Church decided on the sufficiency of these claims and Queen Jadwiga added another title to her name in 1997.